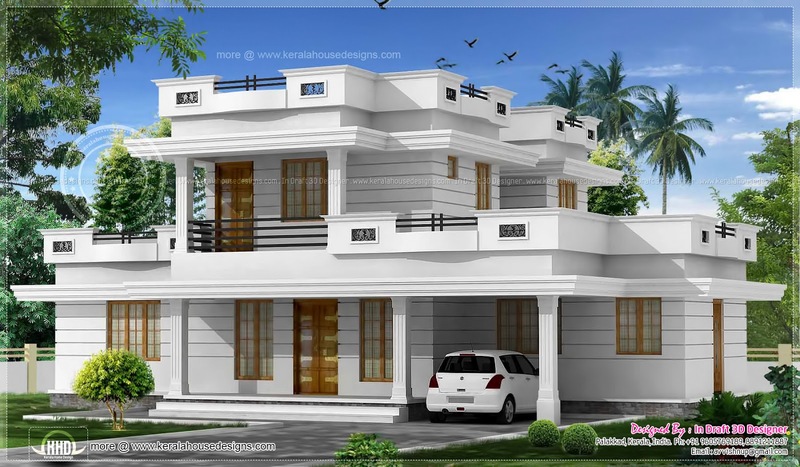 Double floor flat roof villa 2172 square feet (202 square meter) (241 square yards). Designed by In Draft 3D Designer, Palakkad, Kerala. Ground floor : 1594 sq.ft. First floor : 598 sq.ft.